Looking for the perfect breakfast idea? 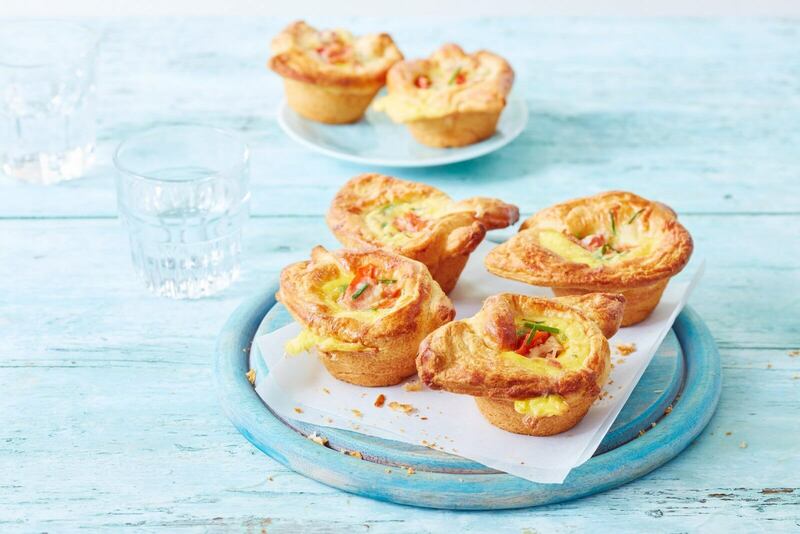 Give our savoury breakfast quiches a try! Deliciously creamy with egg, cheese, and bacon! Bake the bacon until crispy. Put 3 eggs in a bowl, add the grated cheese and mix well. Add the paprika, bacon and chives and mix. Open the can Danerolles en cut the dough according to the cuttinglines. Grease the muffin mould and cover it with dough, creating little containers. Pour the mixture into the containers and strike some of the beaten egg over the dough. Place the muffin mould in the oven and bake the quiches for 20-25 minutes at 180 degrees. Enjoy!